The next parameter that you will need to select is the ground clearance. 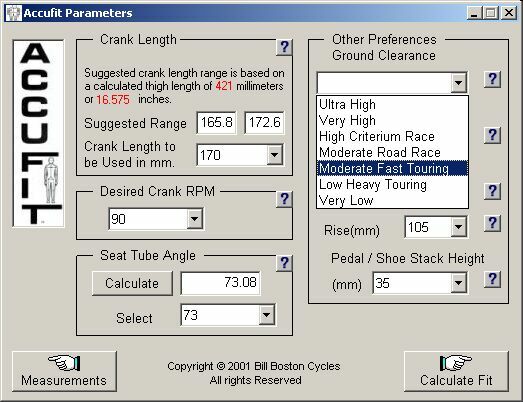 The values provided are based on the use of caged pedals and toe clips. If you use clip less pedals, you may wish to select a lower value. Before using the bike setup information to adjust your current bike, you may want to return to this form and select a ground clearance that provides a bottom bracket height closest to your bike.